The report on the global medical sensor market provides qualitative and quantitative analysis for the period from 2017 to 2025. The report predicts the global medical sensor market to grow with a CAGR of 9.52% over the forecast period from 2019-2025. The study on medical sensor market covers the analysis of the leading geographies such as North America, Europe, Asia-Pacific, and RoW for the period of 2017 to 2025. The report on medical sensor market is a comprehensive study and presentation of drivers, restraints, opportunities, demand factors, market size, forecasts, and trends in the global medical sensor market over the period of 2017 to 2025. Moreover, the report is a collective presentation of primary and secondary research findings. Porter’s five forces model in the report provides insights into the competitive rivalry, supplier and buyer positions in the market and opportunities for the new entrants in the global medical sensor market over the period of 2017 to 2025. Further, IGR- Growth Matrix gave in the report brings an insight into the investment areas that existing or new market players can consider. Increasing demand for wearable devices. Surging awareness among society for fitness and health concerns. Strict government regulation for a new product launch. Adoption of IoT in the healthcare sector. The global medical sensor market is segmented on the basis of type, placement, and application. 1.  Comprehensive analysis of the global as well as regional markets of the medical sensor market. 2. Complete coverage of all the segments in the medical sensor market to analyze the trends, developments in the global market and forecast of market size up to 2025. 3. Comprehensive analysis of the companies operating in the global medical sensor market. The company profile includes analysis of product portfolio, revenue, SWOT analysis and latest developments of the company.